Watch: "History's Greatest Mysteries Traced to Mobile Network Issues"
Watch: "Introduction of Cisco ASR 5500"
New Mobile Platform Designed to Increase Performance by Up to 10 Times and Provides Industry's First Elastic Design for New Mobile Experiences, "Your Way"
SAN JOSE – June 5, 2012 -- With worldwide mobile network traffic expected to increase nearly 18-fold between 2011 and 2016, Cisco today introduced the foundation for a new generation of mobile Internet networks: the Cisco® ASR 5500 platform. Rise of the "Internet of things" – also known as machine-to-machine or M2M, whereby machines like smart meters and sensors use the mobile network. The result is nearly 19 billion mobile and fixed connections to the Internet by 2016, according to the Cisco Visual Networking Index (VNI) Forecast (2011 to 2016). Each connection has its own specific requirements, based on device type and application used, that must be met to deliver a superior and personalized mobile experience "your way." The industry's only elastic packet core solution capable of integrating signaling, data, in-line services, and policy and charging control within a single platform. Cisco's elastic mobile architecture allows applications to intelligently and elastically scale up or down to meet processing requirements. This gives service providers the unique ability to adjust resources and adapt to multiple conditions and network usage patterns, resulting in improved network economics, saving customers up to 47 percent of the total cost of ownership, according to a study issued by ACG Research. "Change in the use of mobile networks is challenging network architects to build flexibility and elasticity into the mobile multimedia core in order to control its cost. Our analysis of the Cisco ASR 5500 multimedia core solution compared to a leading competitor's solution finds that TCO savings are up to 47 percent lower than the competitor. The savings are attributable to the Cisco ASR 5500's scale and integrated functionality that requires up to 65 percent fewer installed units." "With LTE deployments ramping up, many vendors have been talking up their mobile packet core expertise and preparing their next-gen platforms. Cisco's focus on elasticity, combined with the proven performance of its software and the scalability improvements of the Cisco ASR 5500 yield a compelling product that's commercially available today." "As we are transforming our network in order to cater to increasing demand for data services, we wanted a product that was scalable, reliable and one that could adapt to varying requirements and technology needs of our customers. As part of our packet core modernization we have chosen Cisco's ASR 5000 series and have been very satisfied with its stability, scalability and integration across various technologies." "At Telekom Austria Group we see our Cisco mobile core network infrastructure as key enabler for advanced 4G LTE services. With the Cisco ASR 5000 Series as the evolved packet core, we can develop and deploy mobile services quickly, reliably and cost-effectively. We are excited that Cisco is enhancing its ASR 5000 Series with increased performance, scalability and elasticity." "Verizon Wireless has been at the forefront of 4G LTE with the largest global deployment to date. 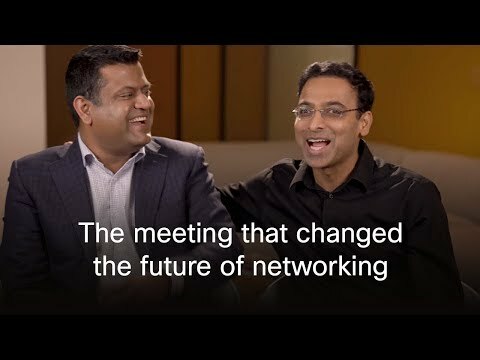 Our tradition of innovation and leading advancements in mobility is supported through our relationship with Cisco. The Cisco ASR 5500 platform will help serve our needs for scalability and agility in service deployment models addressing consumer and enterprise markets." "By 2016, more people will access the Internet from mobile devices than from desktops. Through the leading technology and services of the Cisco ASR 5000 Series and its newest member, the Cisco ASR 5500, Cisco uniquely offers service providers the opportunity to not only keep up with this surging demands from their customers in the ‘new normal,' but also to enable their ability to grow profitability, to provide new differentiated services and to maximize the return on their existing investments so that they can thrive in the ever-evolving mobile landscape." At 7:00 a.m. (PDT) / 10:00 a.m. (EDT) / 3:00 p.m. (GMT) today, Cisco will host an invitation-only news conference for journalists, bloggers and industry analysts to discuss this announcement. Cisco executives Kelly Ahuja, senior vice president and general manager of the Mobile Internet Technology Group, and Murali Nemani, senior director of service provider marketing, will be present and take questions from the audience. To register for the Cisco news conference, send an email to #NACiscoSPinf@text100.com. Once you are registered, an email will be sent with the log-in details.